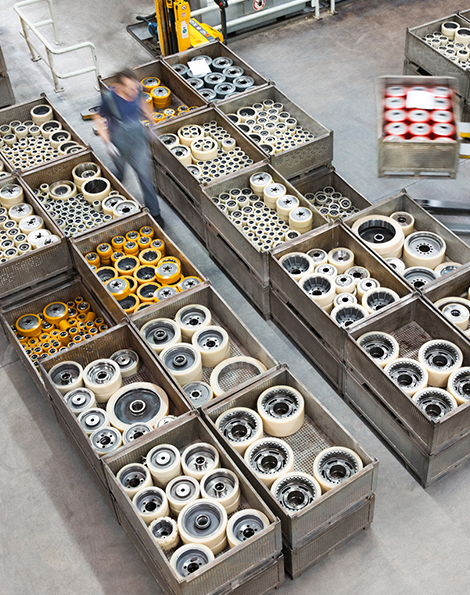 Huge range of wheels for every application. Wide choice of tread materials & wheel types. Drive and load wheels, rollers and press on tyres. Wide choice of bracket types & tread materials. 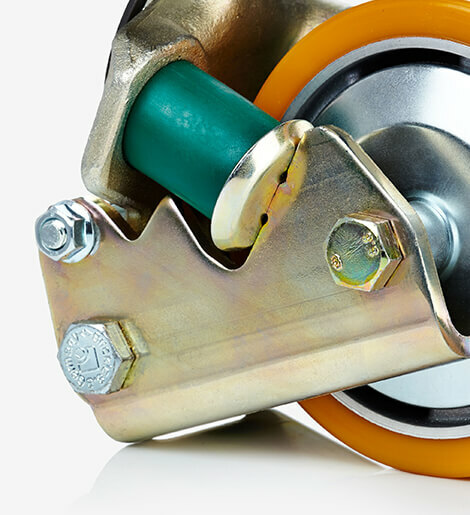 High quality European Manufactured castors. 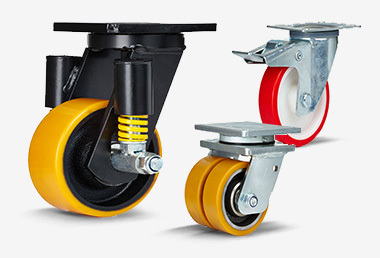 Light, medium and heavy duty industrial castors. Search by part number or forklift model or size. Largest stockist of forklift wheels in the United Kingdom. Vulkollan, rubber, nylon & polyurethane wheels. Selection of our most popular drive wheels. Selection of our most popular press on tyres. 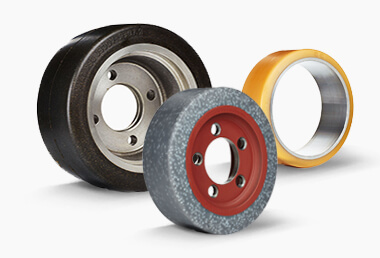 Selection of our most popular load wheels. 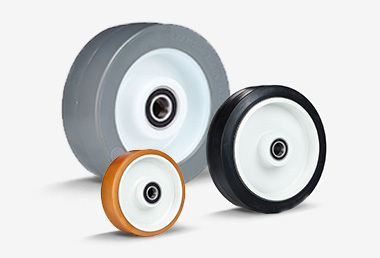 Selection of our most popular guide rollers. Selection of our most popular pallet rollers. Selection of our most popular castor wheels..
We offer a comprehensive range of wheel and castor solutions with over £1million of stock held here in the UK. We have been supplying warehouse forklift wheels for over 20 years and today we have the largest and widest range of wheels in stock in the UK.